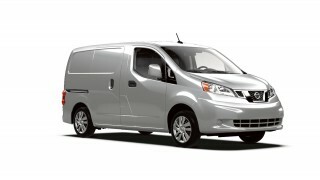 The Ram ProMaster City is a light-duty, city-oriented commercial van. It arrives from overseas for domestic duty, geared primarily toward commercial users: delivery services, finish carpenters, transporters, etc. 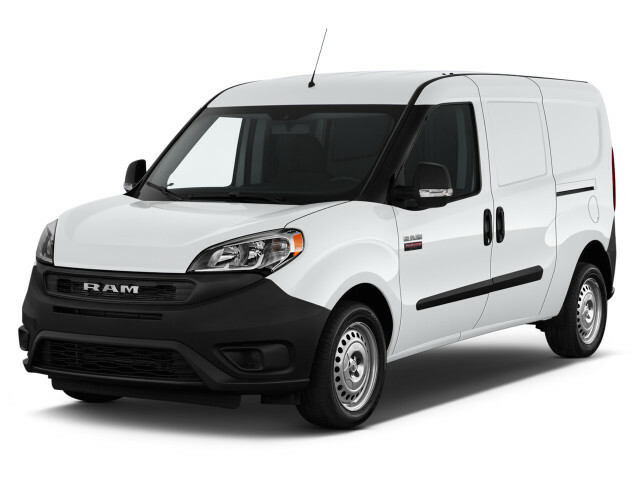 The Ram ProMaster City is available for 2019 in a quartet of configurations: Tradesman, Tradesman SLT, Wagon, and SLT Wagon. 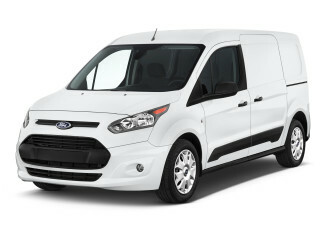 The ProMaster City joins a class of vans like the Chevrolet City Express, Nissan NV200, and Ford Transit Connect that combine some small-car underpinnings with the stouter chassis, cargo box, and hauling capacity that’s needed in a light-duty, city-oriented compact van. The front-end appearance of the ProMaster City is more like that of a small crossover or minivan, while from the driver’s seat back it’s all business. The familial Ram crosshair grille and a collection of nice details that carry over to both Ram trucks and some Dodge cars help bridge the gap, stylistically, and the cabin appointments are quite carlike. Driving manners for the ProMaster City should be quite carlike as well, and these models have a bi-link independent rear suspension that should have a much better ride than conventional full-size vans; a strut-type front suspension is carlike in layout. 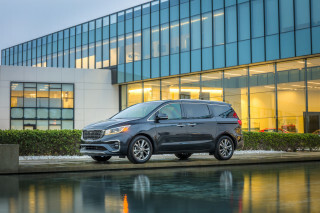 The 178-horsepower, 2.4-liter 4-cylinder engine and 9-speed automatic transmission are essentially as used in models like the Chrysler 200 and Jeep Cherokee; with an empty load the ProMaster City can dash to 60 mph in just 9.8 seconds. 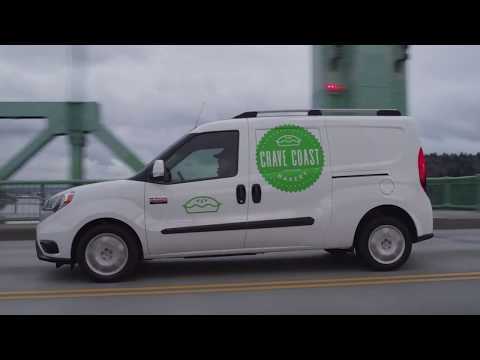 Cargo and payload are are two of the major reasons to choose a van, and the ProMaster City lineup aims at offering the largest, most versatile cargo box among the current crop of city vans. Ram says that the cargo width is a best-in-class 60.4 inches, while total cargo volume is almost 132 feet and the 48.4-inch width between wheel wells holds a full-size pallet aboard. In cargo models, there are six tie-down rings, with a combined 1,000-pound rating, and with the rear seats folded, there's almost six feet of cargo-floor length. 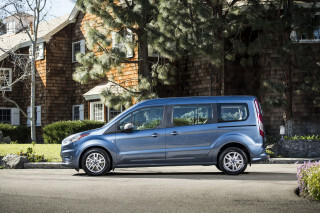 Four models of the ProMaster City are on offer, with two of them entirely cargo-oriented. Tradesman and SLT aim at cargo use, while Wagon and SLT Wagon models offer back seats and rear side windows (although in all models the rearmost area is covered). 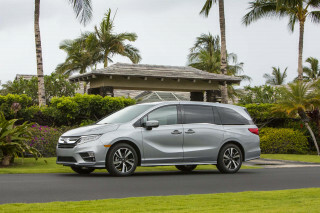 There’s only one rear door arrangement here; the ProMaster City's setup brings 60/40-split rear doors; the doors can open to 180 degrees, with the smaller one opening to the curb side. The ProMaster City will offer a version of Ram’s Uconnect infotainment touch-screen system, as well as available satellite radio and on-board navigation. Various Mopar accessories will include roof-rack systems, graphics packages, and towing accessories, while safety features are more passenger-grade, not cargo-grade, with a rearview camera, a parking aid, and a full set of airbags, including a driver’s knee bag, all part of the standard safety kit.